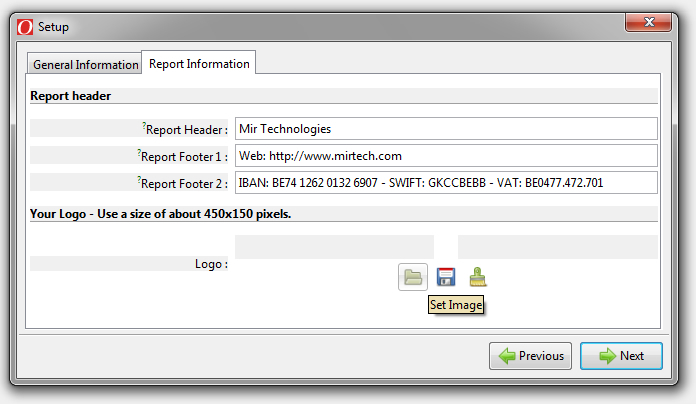 You are currently browsing the category archive for the ‘Open ERP’ category. Here are the details of my environment. PostgreSQL will be installed on fedora running in a virual machine. 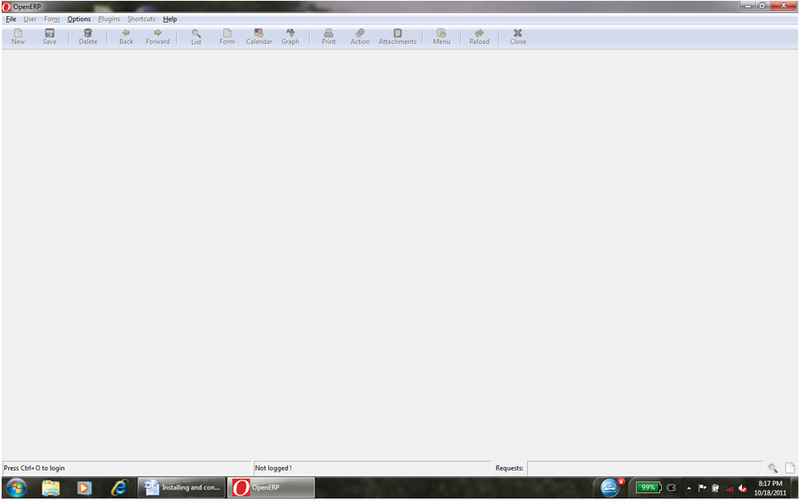 OpenERP All-in-One (Server, Client and Web) installed on Windows XP SP2. Host OS. Run fedora VM than download the graphical installer of PostgreSQL from http://www.enterprisedb.com/products/pgdownload.do for version 8.4.4-1.
when the installation completes it will give u PgAdminIII a GUI interface to perform all kinds of operation on the PostgreSQL databse. It will also create a default database by the name of “postgres” and a default user by the name of “postgres”. Password for the user “postgres ” will be set during installaion. Click on Applications , than PosgresSQL 8.4, than PgAdmin III. The GUI will open. 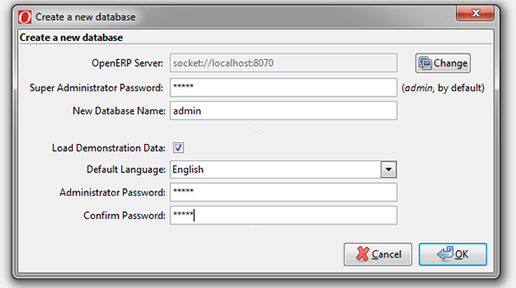 Double click on the PostgreSQL 8.4 (localhost) server in the left pane of the GUI. The server will run and will show u Databases,Tablespaces, Group Roles, Login Roles. 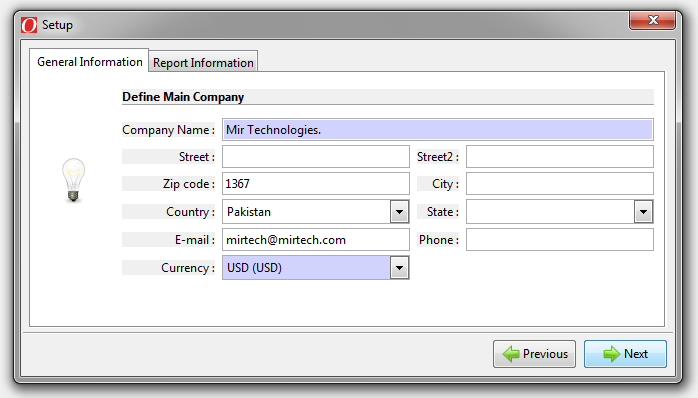 Click on Databases, it will expand and will show u postgres database. So far so good, now open the terminal and create another database by the name of testdb. This will create a database named testdb. Nauman is the user name for the above created database testdb and –P makes sure that u specify a password for the created user. When the user is also created than open PgAdmin III. 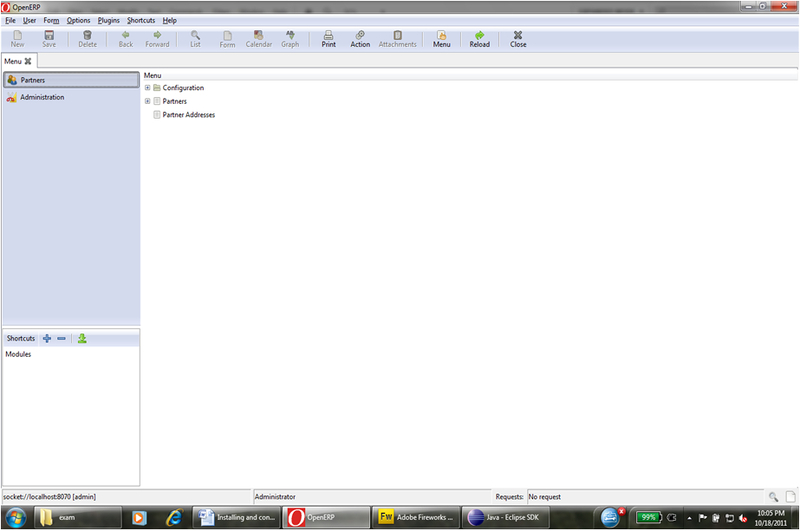 U will see that the newly created database test db is created there. Click on the testdb database to select it. 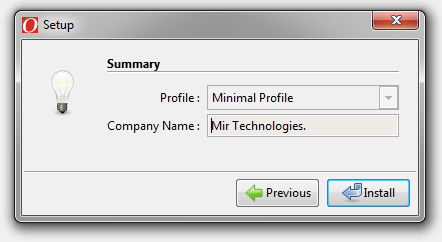 Click on tools from the main menue and click on Server Configurations. There we will find two file, postgresql.conf and pg_hba.conf. we have to edit both of these files one by one. Open the postgresql.conf file and put a * in the “listen_addressess” string name. Save and exit. if the value is alteady * for “listen_addressess” than make no changes and exit the file. Open the second file pg_hba.conf and make the following changes. Click OK and exit the file. Click on All Programes from the start menue. 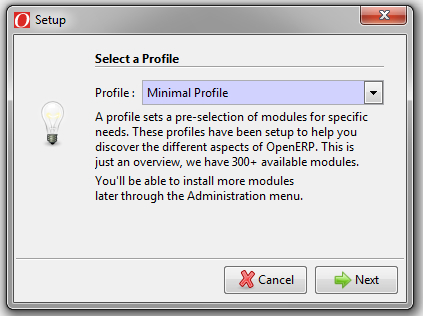 Than click on Openerp Server than click on Edit Config to open the openerp-server.conf file. Save the openerp-server.conf file with the above changes and exit. 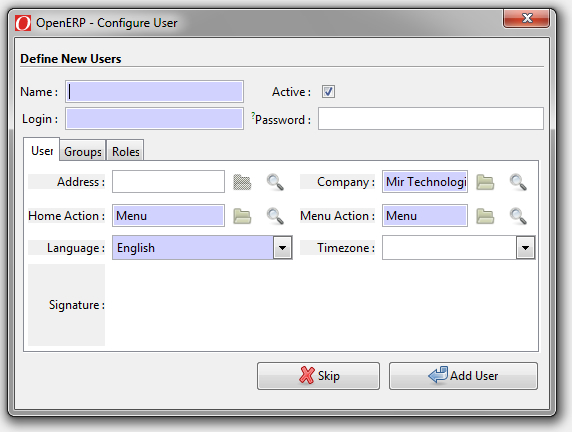 now click on All Programmes from the start menue, go to OpenERP Server and click on start service. 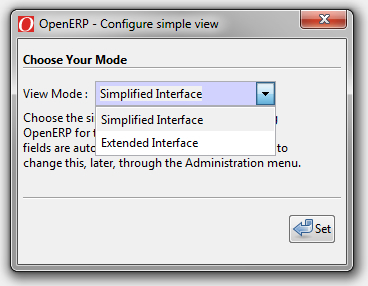 Than start the OpenERP Client click on File from the main menue and click on connect. The database is already selected in the list and cant be changed if the user that we have created is not a super user. Provide the password and click OK.
And that’s it. Our OpenERP is communicating with a PostgreSQL database that is running on a remote machine.